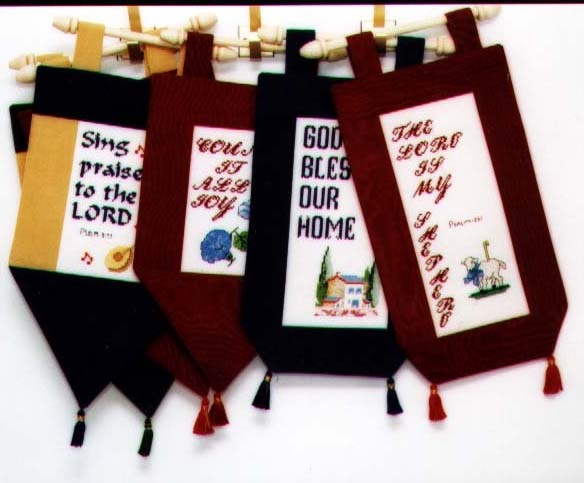 Counted Cross Stitch quality handmade needlework Wall Banner of Christian Biblical Verses and Traditional content made from Aida canvas & DMC cotton threads, to bless your house. Great as gifts, too. This counted cross stitch handmade needlework product is hand stitched with pride by OrientCrafts skillful and well trained handmade workers who are trained and qualified by our trainers and experts of world quality handmade needlework. We hope this needlework product which is designed and produced by OrientCrafts quality handmade needlework of cross stitch and long stitch or embroidery products store will meet your satisfaction.